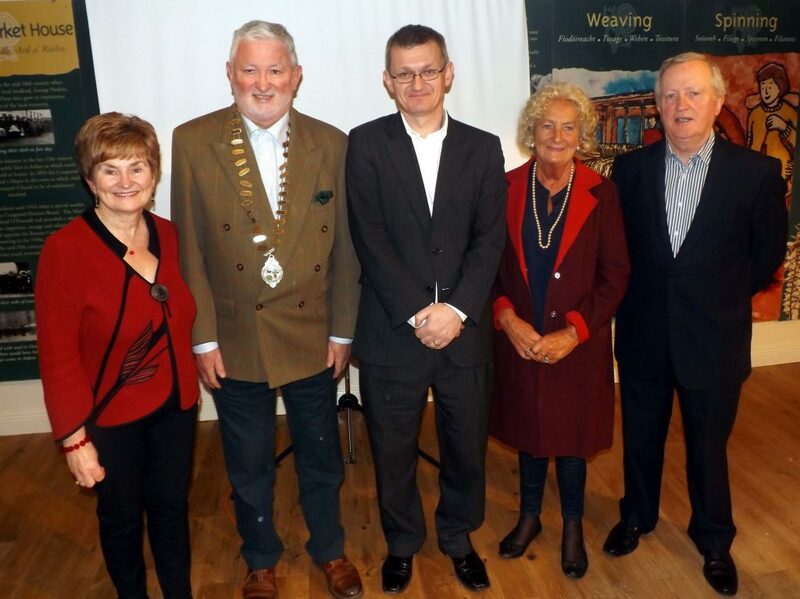 The Heritage Centre was the venue for the latest annual Paddy McGill Lecture on the 19th of March last, which this year saw it’s topic as ‘The revolutionary generation, and other generations in South-west Donegal’. We were extremely fortunate to have Ardara native, and esteemed History Professor, Brendán Mac Suibhne to deliver the special talk. 1. 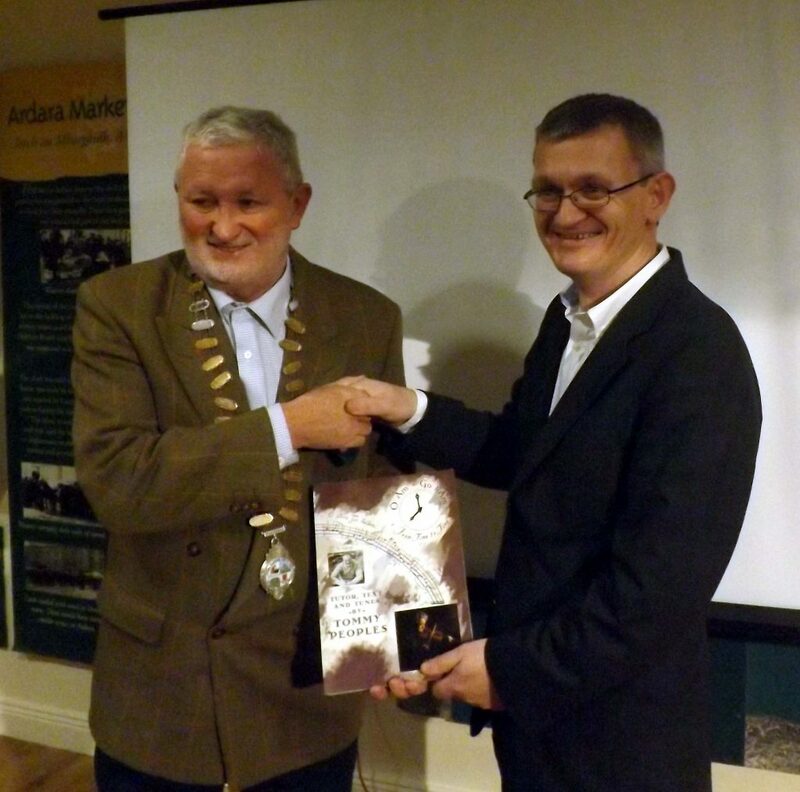 Dr. Lochlann McGill makes a presentation to Brendán Mac Suibhne after the lecture. 2. 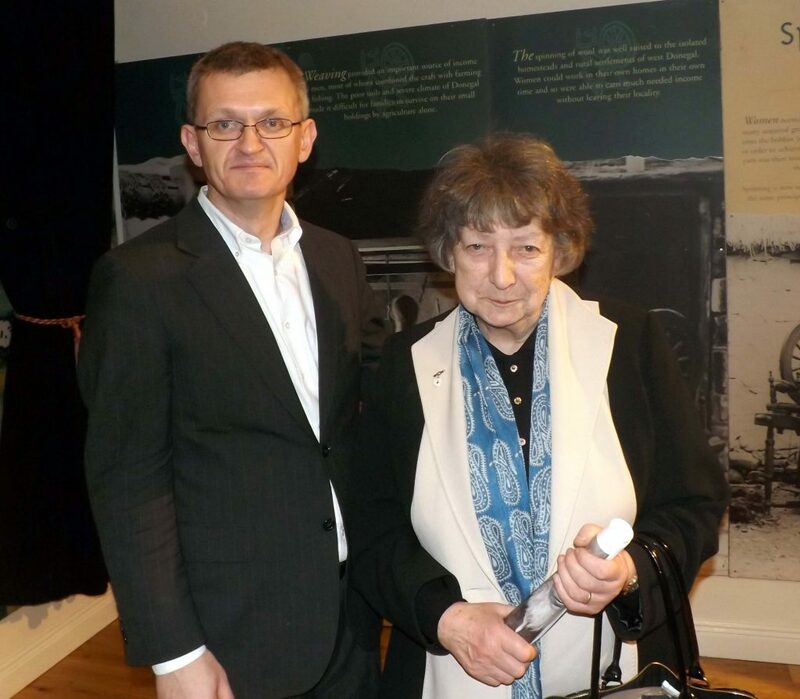 Brendán Mac Suibhne with Historian Helen Meehan, at the lecture. Brendán Mac Suibhne, Anne McBride. Nicholas McGill.